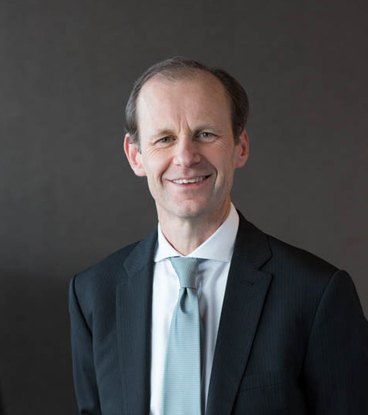 ANZ’s CEO has sent a long letter to his staff urging the restoration of customers’ trust in the wake of a Royal Commission on banking misconduct. Shayne Elliott, the bank’s head honcho, says it will be lodging its initial submission to the Royal Commission into “Misconduct in the Banking, Superannuation and Financial Services Industry”. To give you some background, in the aftermath of the “Global Financial Crisis”, the Financial System Inquiry found ANZ knew more than 80,000 Australians lost billions of dollars due to the collapse of managed investment schemes, poor financial planning advice and other misconduct. People, unsurprisingly, got well and truly annoyed with banks – and according to Elliott this included the size of its profits, “the amount of money senior executives earn, how hard it can be to switch banks” and “the unfairness of many fees and charges”. Commissioner Hayne asked the bank to answer some “very specific” questions to identify any instances of misconduct by ANZ in the past ten years or situations where its conduct fell short of community standards or expectations. In addition, Hayne wants ANZ to think about why these failings happened and what it has done to fix them and stop them from happening again. Elliott says: “Although many of the issues in our submission are known and have been or are being fixed – seeing them all in one document is confronting. “Of course, it would be easy to lay the blame on a few bad apples or to say that these are largely historical technical glitches resulting from large complex IT systems. That would be wrong. He goes on to say customers received “financial harm and emotional stress” and that “I’m ultimately accountable for this and once again apologise”. The usual stuff. Elliott wants to improve all this and, to cut it very short, says there are “three immediate things I can do”. The first two are the typical touchy-feely stuff banks and fintechs like to regurgitate – such as listen to customers who tell their stories as part of the Royal Commission and “continue to listen to you”. For the third, Elliott says ANZ has set up a dedicated page on its Max site and you can “email him directly if you have a concern”. Alternatively, people can lodge a whistleblower report by contacting one of its whistleblower protection officers. He plans to share the bank’s submission once the Commissioner has formally released it to the public.